Though the job of a corporate board member has never been easy, show special sympathy for anyone serving as a retailing director over the past few years. The traditional board concerns of retail and measures of success – profit margins, inventory turnover, sales per square foot, traffic, conversions – are under attack by e-commerce. Doing all the traditional things well can leave you in the same position as K-Mart, Sears, or The Limited. The pressures traditional bricks-and-mortar retail chains face are obvious and increasing. Many of these have been self-inflicted. The U.S. has far more per capita retail square footage than any other country (six times as much as the U.K., for example). 8,642 retail stores will close in 2017 in North America alone. 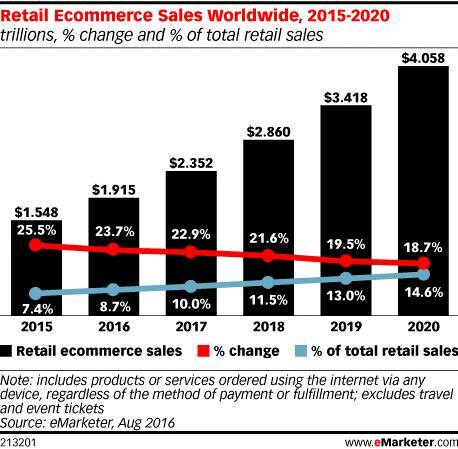 Meanwhile, the stats for online retail are exploding in ways that both excite and trouble those of us in the sector. U.S. e-commerce sales hit $294 billion in 2016, and are expected to reach $414 billion next year. That was an average of $1700 per person in 2015. A poll of U.S. shoppers found 60% prefer to avoid crowded malls and stores (which, of course, makes them less crowded), and 71% believe they’ll find the best deals shopping online. Forty percent of men and 33% of women 18 to 34 say that ideally they’d like to buy everything online. Those of us who watch the numbers, monitor the trends, and set strategy for retail businesses know they offer an incomplete, even misleading picture of where retail in America is headed. First, digital trends are leading us toward a hybrid retailing model built upon both the online and in-store channels, but takes them in wholly new directions. First-generation online retail was shaped by desktop computing models that are rapidly being outclassed by the rise of mobile e-commerce. Currently, 66% of the time U.S. customers spend on retail interaction is via mobile. This is higher still in Asia and Europe, pathfinders for mobile retail innovation. Mobile is not a supplement to a retailer’s online presence now – it is the primary mode, and obsessing over how well your customers can browse, shop, buy, and pay through their smartphones is crucial. Even that approach is too limited today. Smart competitors (some you may not even realize are competitors) are shaping omnichannel digital and hybrid retail models that will surprise and disrupt you tomorrow. Amazon and Google invent new ways to source, market, sell, and deliver goods on an almost-daily basis. StitchFix offers a new apparel retail model using algorithms and AI to deliver wardrobe items customized to your body and personal style. Warby Parker brings a similar online shakeup to the staid world of optometry and eyeglasses. Ikea supplements its physical locations with a viewer option that lets you remotely browse its stores via virtual reality. Retail spaces will become places to go to learn about the products and be inspired. Retailers will need to “sell a story” within their store as consumers are demanding experiences as much as purchases.